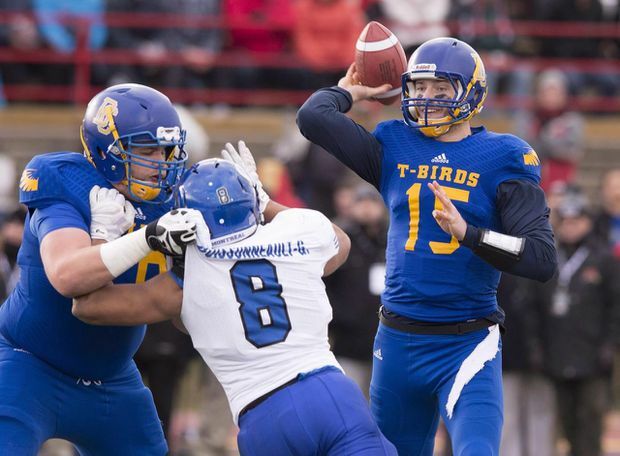 UBC Thunderbirds quarterback Michael O’Connor throws a play in the Vanier Cup game against the Montreal Carabins on Nov. 28, 2015, in Quebec City. For Michael O’Connor, discussing his future is a distraction from his current goal – leading the University of B.C. Thunderbirds to another national championship.